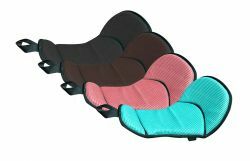 Showman ® Teal and brown Navajo diamond print seat saver with fleece bottom. 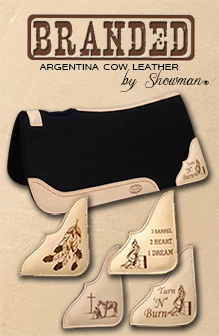 Showman ® Navajo print seat saver with fleece bottom. Showman ® Neoprene " Sure-Grip" seat saver. Showman ® Rubber dally wrap. Fleece bottom seat saver with cordura nylon top.